The Office of Electricity Delivery and Energy Reliability (OE) is the Department of Energy’s lead agency for managing the nation’s delivery of electricity to homes, businesses and government buildings. The OE oversees maintenance and improvement to the U.S. electrical grid to minimize the risk of large blackouts, such as those caused by Hurricanes Sandy and Irene, and the one that hit large parts of the Midwest and Northeast in 2003. In the wake of the 2003 outage, the George W. Bush administration pushed through a controversial provision in the 2005 energy bill that gave the federal government the ability to override local and state government objections to building new power lines and transmission towers. The OE also works with the Department of Homeland Security on efforts to protect the U.S. grid from potential cyberattacks. On August 14, 2003, the U.S. experienced one of the worst power disruptions in the nation’s history. Large portions of the American Midwest and Northeast, as well as Ontario, Canada, were hit by a massive blackout that affected more than 50 million people and caused between $4 billion and $10 billion in damages in the U.S.
Only five months earlier, the U.S. Department of Energy had created two offices to handle different aspects of electrical energy delivery: the Office of Electric Transmission and Distribution (TD) and the Office of Energy Assurance (EA). The TD was charged with advancing new energy technologies to improve the performance of the U.S. electrical grid, and the EA was tasked with coordinating federal response to energy crises and developing strategies to better protect the electrical grid from blackouts. During the August blackout, EA staff helped power companies bring power back online to parts of New York City. TD staff worked with a US/Canada Power System Outage Task Force to analyze the causes of the blackout and recommend future steps to avoid a reoccurrence. The cause of the blackout was ultimately blamed on FirstEnergy Corporation, an Ohio power company, which federal investigators blamed for not cutting off power to the Cleveland area to avoid the cascading effect that brought down power across other states and Canada. Despite these efforts by the EA and TD, the George W. Bush administration decided, as part of the Energy Policy Act of 2005 (pdf), to consolidate the work of both offices into a new organization: the Office of Electricity Delivery and Energy Reliability (OE), led by a director. Along with elements of the DOE Fossil Energy office, the OE became the federal government’s lead agency for all matters pertaining to the delivery of electricity. The 2005 energy bill included among its many provisions a controversial move to force private and public landowners to give up their property for the building of new electrical towers and transmission lines designed to expand the power capacity of the national grid (see Controversies). In 2007, the OE was elevated in status when the position of director (held by Kevin Kolevar at that time) was transformed into an assistant secretary post. President Barack Obama has made it his goal to modernize the nation’s electricity transmission network toward what has come to be known as the smart grid. In the energy provisions (pdf) of the 2009 stimulus bill, $3.4 billion was earmarked for this effort. Matched industry funding was expected to bring the total investment to $8 billion. As a result of smart-grid implementation, the U.S. could reap the benefit of a 12% reduction in carbon emissions by 2030, according to the prediction of a 2010 DOE lab report (pdf). Located within the Department of Energy, the Office of Electricity Delivery and Energy Reliability (OE) is in charge of overseeing the availability of electricity throughout the country. The OE makes sure the U.S. electrical grid is working properly, both now and in the future as new technologies become available to better provide electrical service to American homes, businesses and governments. 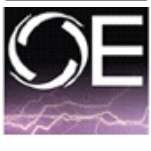 The OE funds research and development programs that explore new means of storing and delivering electricity. The office also works to identify any infrastructure problems that could potentially cause large-scale power outages, such as the 2003 blackout. Working with other federal agencies, the OE prepares for responding to any outages that might stem from terrorist-related attacks on the electric grid. High Temperature Superconductivity (HTS) (pdf) helps develop high temperature superconducting wires and electric equipment to modernize the electricity grid and improve its performance. Visualization and Controls (V&C) systems allow operators to detect disturbances in the electric grid and take action before problems cause widespread outages. V&C research efforts involve control systems security, smart grid and transmission reliability programs. Renewable and Distributed Systems Integration (RDSI) programs are geared towards increasing available power in the grid during peak load periods. The RDSI programs involve research in the areas of climate change, distributed energy and renewable energy integration. Energy Storage and Power Electronics (ES&PE) research is being conducted to lower costs in capital, installation and operations and maintenance for existing storage systems. Building on advances in semiconductor materials, power electronic building blocks are being created to replace traditional electromagnetic and electromechanical ones. Some examples are available through the energy storage program. The Infrastructure Security & Energy Restoration (ISER) division works with the Department of Homeland Security, the Federal Energy Regulatory Commission and other national, regional, state and local governments, and commercial organizations to deal with emergencies affecting the electric grid. The ISER analyzes infrastructure vulnerabilities and recommends preventive measures, helps other agencies prepare for power outages, carries out emergency energy operations during a declared emergency or national security special event in accordance with the National Response Plan and develops and maintains a national energy cyber security program. The ISER utilizes the National Energy Technology Laboratory to assist with research efforts. The Smart Grid Investment Program spearheads efforts to deploy modernized smart-grid systems and technologies to enhance the nation’s electric power grid. It evaluates the performance of grid technologies and systems, communicates results to stakeholders, advances cybersecurity tools and technologies, and participates in the development of smart-grid interoperability standards. The National Electricity Delivery Division (NEDD) leads efforts to provide technical assistance to states, regional entities, and tribes in support of their programs, policies, and laws that facilitate electricity infrastructure development. The NEDD also authorizes the export of electricity, issues permits for the construction of cross-border transmission lines, and works to improve the coordination of transmission permits on federal lands. The Energy Infrastructure Modeling and Analysis Division (EIMA) supports energy infrastructure development through such activities as electric system modeling, synchrophasor-based tool development, transmission reliability research, reliability assessments, energy security modeling and visualization, and energy infrastructure risk analyses. OE spending, as delineated in its FY 2013 budget request of $143 million, includes $103 million for Research and Development; $6 million to assist states, regions, and tribal governments in changing their electricity policies; and $6 million to support energy infrastructure and energy supply disruption recovery. Priority spending is targeted toward establishment of the new Electricity Systems Hub ($20 million), cybersecurity ($30 million), and Advanced Modeling Grid Research ($10 million). When it comes to representing the interests of the electrical industry, the Edison Electric Institute (EEI) is the biggest player that OE must deal with. EEI represents approximately 70% of all electricity companies in matters before Congress and other federal offices. Another key industry stakeholder is the North American Electric Reliability Corporation, a trade group that sets standards by which utilities operate to ensure the interconnection of power grids across the country. The Energy Department was faulted by its own inspector general (IG) in 2013 for making improper payments to contractors as part of a troubled stimulus-funded program. A key area of concern was efforts to develop a “smart grid” using money from the 2009 stimulus-spending bill. “In the absence of significant improvements, the program is at risk of not meeting its objectives and has an increased risk of fraud, waste, and abuse,” the IG warned in its report. The program’s problems had been raised before, in a 2012 report as well. The IG looked at 11 of 32 projects financed by the Department of Energy (DOE) Office of Electricity Delivery and Energy Reliability (OE), which doled out nearly $700 million in stimulus funding to support the usefulness of smart-grid technology. The office found extensive financial mismanagement to the tune of more than $12 million of the $279 million for those 11 projects. It included nearly $10 million in payments based on estimates rather than real costs and paying a recipient for work that had already been paid for by another government agency. Concerns over the effects of electromagnetic pulse (EMP) go back to the Cold War, when scientists first learned the full impact of nuclear weapons on the atmosphere. In 1962, the United States conducted one of its many nuclear bomb tests in the Pacific Ocean. The explosion, dubbed Starfish Prime, unexpectedly wreaked electromagnetic havoc in Honolulu, Hawaii, 900 miles away. The EMP knocked out hundreds of streetlights, triggered burglar alarms, and disrupted interisland phone service. And in 1989, a solar storm shut down Quebec’s power grid for nine hours. Scientists and government officials since at least 2004 have speculated about what would happen to American society if an EMP were unleashed over the U.S., either as a result of a nuclear detonation or from the sun via solar storms. Any nation possessing nuclear weapons could, in theory, produce an EMP if it has a powerful enough weapon and manages to detonate it at the proper altitude. This very issue was raised following the issuing of a report by the Obama White House and the OE in 2013 about widespread power outages because of severe weather on the U.S. electrical grid system. The report, titled the “Economic Benefits of Increasing Electric Grid Resilience to Weather Outages,” said the cost of outages take various forms such as lost output and wages, spoiled inventory, delayed production, inconvenience, and damage to the electric grid. But the report made no mention of the potential impact of EMPs on the grid. F. Michael Maloof at WND noted that the EMP threat was addressed by the congressionally mandated EMP Commission, which issued its own report on the disastrous results of an EMP incident, whether natural or man-made, on the U.S. electrical grids and all of the critical infrastructures it supports. In addition, the former director for the Central Intelligence Agency, James Woolsey, has voiced similar warnings while serving as co-chairman of a special EMP panel. Woolsey warned that a country such as North Korea could launch a nuclear weapon armed with a “super-EMP” warhead and explode it at a high-altitude above the densely populated Boston-to-Washington D.C. corridor. The federal government finally released a report in 2012 on the vulnerability of the U.S. power grid to terrorist attacks and natural disasters, following five years of keeping it hidden away. Produced by the National Research Council, the report was supposed to be released to the public in 2007. But the Department of Homeland Security decided the document should be classified. It then took five years for the academy to convince officials to review the classification decision and eventually reverse it. The report found that the electric grid is susceptible to disruption by a small number of knowledgeable attackers or from natural disasters. It deemed transmission lines, spanning hundreds of miles, and transformers and other largely unguarded key facilities to be the most vulnerable parts of the system. The report was more concerned about physical attacks than cyberattacks. Concerns within the Obama administration to get the economy going again compelled the DOE to rush the distribution of stimulus funding for certain projects—and in the process potentially compromise national security. The DOE’s IG reported in 2012 that recipients of the Smart Grid Investment Grant Program received $3.5 billion to modernize and improve the reliability of the U.S. power grid. But the plans of many grant recipients to prevent “malicious cyber attacks” were deemed inadequate for the task. President Barack Obama vowed during his first term in office to have 80% of the United States’ electricity (as opposed to the current 11%) produced from “clean energy” sources by 2035. But such a goal faced obstacles as well as questions by skeptics whether a grid so reliant on clean energy would be reliable. In 2011, a team of experts reporting to the Federal Energy Regulatory Commission said that the power system could handle some increases in wind power through 2012. But the ability to handle expansion beyond that was unknown. “Careful study, planning, and deliberate actions will be required by each interconnection to ensure the continued reliability of the U.S. electric power system,” the experts concluded in their report. The following year produced better news for Obama’s plan. A study by the University of Delaware and Delaware Technical Community College concluded that renewable energy could reliably power a large electrical grid by 2030 almost 100% of the time, at a cost equivalent to current electricity prices. The study also said fossil fuels would be used as a backup plan in the event that renewable energy sources and stored power weren’t able to meet demand. President Barack Obama’s stimulus program was devised to create more jobs for Americans, which was why some of the money was directed into the development of smart-grid technology. But two years after adopting the billion-dollar package, funding for smart-grid programs had yielded little in the way of employment. As of March 2011, only $1.8 billion in stimulus grants and private funding had been expended on smart-grid programs. These funds may have created nearly 2,800 new jobs, according to the OE. “If one assumes that this represents only a fraction of total smart grid funding flowing through the industry, we can only project 5,000 to 10,000 total smart grid jobs created as a result of these programs,” Rob Wilhite wrote at DNV KEMA Energy & Sustainability. Wilhite wrote in another blog entry that a total of 15,987 jobs currently exist within the smart-grid segment of the energy industry. This figure still seemed low, according to Wilhite, who wondered where the smart-grid jobs were, what with billions of dollars being expended in federal and utility industry spending. “Have we over-estimated the stimulus impact from pumping nearly $4.3B into this sector of the energy industry? Or is it too early to measure these impacts?” he asked. Government agencies and utilities have touted the benefits of switching to “smart meters” for homes and businesses to allow for better tracking and managing of energy use. But complaints began to surface about the high-tech meters, with critics saying the devices were a threat to health (including damage to the endocrine and immune systems), privacy (tracking customers’ utility usage), and security (susceptibility to hacking). In at least 15 instances in Pennsylvania alone in 2012, the meters overheated and caught fire, according to news reports. The backlash against the meters prompted lawmakers in eight states to adopt laws or regulations making it easier for customers to opt out of smart-meter programs and keep old analog meters. When Congress passed the 2005 energy bill, a provision was included that allowed the federal government to force state, local and private landholders to sell property that was deemed necessary for the creation of new transmission lines and towers. The new electrical infrastructure helped form the National Interest Electric Transmission Corridors pushed by the George W. Bush administration to relieve congestion in key areas of the U.S. electric grid. The administration’s plan was met with opposition from Democrats and Republicans, environmental groups, historical societies and state and local governments. Traditionally, state, local and regional governments have primarily determined the routes of power lines. But under the corridors plan, the federal government is able to bypass state and local opposition by allowing the Federal Energy Regulatory Commission (FERC)—not states—to be the final arbiter of where the lines are built. In October 2007, OE announced that the first two corridors would be built in the mid-Atlantic region that includes counties in eight states and the District of Colombia and a Southwest corridor that covers Southern California and parts of Arizona. Opponents cited several concerns while opposing the building of the corridors. First, the new electrical towers would be sited through some of the most scenic and historic areas in the eastern half of the country. Officials from Virginia are concerned the mid-Atlantic corridor could impact 11 historic districts, one national historic landmark, 19 state or national historic sites, seven Civil War battlefields and the Appalachian Trail. Some of the most famous sites of the Civil War—Manassas, Antietam, and Gettysburg—lie within the Mid-Atlantic corridor. The mid-Atlantic corridor would also undermine Northeast states’ efforts to reduce greenhouse-gas emissions by causing them to rely more on cheaper coal-fired power from the Midwest, rather than cleaner but higher cost electric generators fired by natural gas. Proponents of smart-grid technology used the impact of Superstorm Sandy in October 2012 to call for investments in new ways to make electrical power systems less vulnerable to natural or manmade disasters. One solution called for installing “self-healing” switches that automatically route power around outages in an effort to minimize disruptions to service. Similarly, new types of sensors and other equipment could provide utilities with real-time grid monitoring to more quickly detect and resolve power outages. Other disaster-proofing changes could involve putting more power lines underground and installing submersible switches that could be turned on after flooding caused by a hurricane or storm surge. The United States faces a costly future when it comes to upgrading its electricity transmission infrastructure. In order to keep up with growing demand for power from consumers, industry will need to invest $1.5 trillion to $2 trillion in total infrastructure by 2030, including about $298 billion for transmission and $582 billion for distribution, according to a study by The Brattle Group. Much of this work will have to take place at the state level, and it will be up to lawmakers to adopt measures that facilitate necessary changes, including gaining consumer trust, for modernizing the grid. One kind of reform involves streamlining the process for siting new electric transmission facilities. At least four states (Colorado, Connecticut, Michigan, and Arizona) have enacted or introduced bills to improve this important process. Another change being considered impacts how new transmission projects are funded. At least 10 states (Alaska, Arizona, California, Hawaii, Illinois, Massachusetts, Michigan, New Mexico, New York, and Oregon) have considered legislation since 2009 to provide bonds, tax credits, or tax exemptions to help pay for clean energy projects and associated transmission improvements. The assistant secretary for the Office of Electricity Delivery and Energy Reliability, Patricia A. Hoffman, was nominated for the position December 9, 2009, and finally confirmed June 22, 2010. Hoffman is no stranger to the office, having held numerous administrative posts since joining the Department of Energy in the mid-1990s. 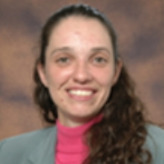 She first joined the Office of Energy Efficiency and Renewable Energy in 1995. Hoffman served as the program manager for the Federal Energy Management Program, which guides the federal government in promoting energy efficiency, renewable energy and smart energy management. She also was the program manager for the Distributed Energy Program, which conducted research on advanced natural gas power generation and combined heat and power systems. Her next responsibilities had her serving both as Deputy Assistant Secretary for Research and Development and chief operating officer within the Office of Electricity Delivery and Energy Reliability. During this time, Hoffman developed the long-term research strategy for modernizing and improving the electric grid. This included developing and implementing sensors and operational tools for wide-area monitoring, energy storage research and demonstration and the development of advanced conductors to increase the capacity and flexibility of the grid. She also initiated a new research effort focused on integrating and distributing renewable energy through the electric grid, such as promoting plug-in hybrid electric vehicles and implementing smart grid technologies to maintain system reliability. In November 2007, Hoffman was named Principal Deputy Assistant Secretary for the Office of Electricity Delivery and Energy Reliability, a post she held until being selected in November 2009 to take over the office on an acting basis. 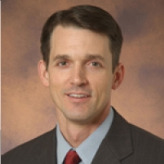 Kevin Kolevar led the Office of Electricity Delivery and Energy Reliability from its creation in February 2005. A graduate of the University of Michigan, Kolevar spent more than 10 years serving on the staff of US Senators Spencer Abraham (R-MI) and Connie Mack (R-FL). In 2000 he worked on the staff that created the Republican Party platform relating to the economy and technology. Kolevar moved to the Department of Energy, where he served as chief of staff to Deputy Secretary of Energy Kyle McSlarrow from 2003 to 2005. In addition to serving as chief of staff to the deputy secretary, Kolevar worked as a senior policy advisor to the Secretary of Energy on security and technology issues. He has also chaired DOE’s National Security Working Group and served as an advisor to the US-Canada Task Force investigating the 2003 blackout.